Darla Jean Hood (November 8, 1931 – June 13, 1979) was an American child actress, best known as the leading lady in the Our Gang series from 1935 to 1941. She was born in Leedey, Oklahoma, the only child of music teacher Elizabeth Davner, and James Claude Hood, who worked in a bank. Hood's mother introduced her to singing and dancing at an early age, taking her to lessons in Oklahoma City. Just after her third birthday she was taken to New York City, where she was seen by Joe Rivkin, a casting director for Hal Roach Studios, who arranged a screen test. She was then taken to Culver City, California, to appear in the Our Gang movies. The Hal Roach Studios was formed in 1920 and it was known as The Laugh Factory to the World. The studio was located at 8822 Washington Boulevard, Culver City. A screen test is a method of determining the suitability of an actor or actress for performing on film or in a particular role. The performer is generally given a scene, or selected lines and actions, and instructed to perform in front of a camera to see if they are suitable. The developed film is later evaluated by the relevant production personnel such as the casting director and the director. The actor may be asked to bring a prepared monologue or alternatively, the actor may be given a script to read at sight. In some cases, the actor may be asked to read a scene, in which another performer reads the lines of another character. She played Darla in Our Gang , except for her Our Gang debut, in which her character's name was "Cookie". She made her debut at age four in the 1935 film Our Gang Follies of 1936 and was soon given a role in The Bohemian Girl with Laurel and Hardy. From 1935 to 1941, she continued to play in Our Gang . She is well remembered for her coquettish character, typically the love interest of Alfalfa, Butch, or (occasionally) Waldo. One of her most memorable moments was singing "I'm in the Mood for Love" in The Pinch Singer . Our Gang Follies of 1936 is a 1935 Our Gang short comedy film directed by Gus Meins. Produced by Hal Roach and released to theaters by Metro-Goldwyn-Mayer, it was the 140th Our Gang short to be released and the first of several musical entries in the series. The Bohemian Girl is a 1936 comedic feature film version of the opera The Bohemian Girl by Michael William Balfe. 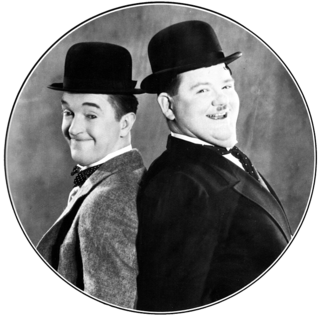 It was produced at the Hal Roach Studios, and stars Laurel and Hardy and Thelma Todd in her last role before her death. This was also the only appearance of Darla Hood in a full-length feature produced by Hal Roach. Hood's final appearance Our Gang film was 1941's Wedding Worries . Wedding Worries is a 1941 Our Gang short comedy film directed by Edward Cahn. It was the 202nd Our Gang short that was released. When she outgrew her role in Our Gang, Hood appeared in several other movies and attended school in Los Angeles. While at Fairfax High School, she organized a vocal group called the Enchanters with four boys. Shortly after graduation, the quartet was booked by producer and star Ken Murray for his famous "Blackouts", a stage variety show. The group remained with Murray's Blackouts during its long run in New York and Hollywood. Fairfax High School is a Los Angeles Unified School District high school located in Los Angeles, California, near the border of West Hollywood in the Fairfax District. The school is located on a 24.2-acre (98,000 m2) campus at the intersection of Fairfax Avenue and trendy Melrose Avenue. Ken Murray was an American comedian, actor, radio and television personality and author. Edgar John Bergen was an American actor, comedian and radio performer, best known for his proficiency in ventriloquism and his characters Charlie McCarthy and Mortimer Snerd. He was also the father of actress Candice Bergen. The Merv Griffin Show is an American television talk show starring Merv Griffin. The series ran from October 1, 1962 to March 29, 1963 on NBC, May 1965 to August 15, 1969 in first-run syndication, from August 18, 1969 to February 11, 1972 at 11:30 PM ET weeknights on CBS and again in first-run syndication from February 14, 1972 to September 5, 1986. Johnny Desmond was an American singer who was popular during the 1950s and 1960s. In January 1959 Hood released a new record, "My Quiet Village" (Ray Note Records). Joe Rivkin, who discovered her as a child, saw the cover and cast her in her final film role —her first adult role in a movie— playing a secretary in the suspense drama The Bat with Vincent Price and Agnes Moorehead. In 2018, along with Hood's recording of "Silent Island," "My Quiet Village" was re-released by The Numero Group both on the Exotica compilation Technicolor Paradise: Rhum Rhapsodies & Other Exotic Delights and on Silent Island, a digital-download-only retrospective of Hood's vocal music. Hood was a guest on such TV shows of the early 1960s as Tell It to Groucho and The Jack Benny Show, where she appeared on October 30, 1962 as "Darla" in a spoof of the Our Gang comedies with Jack Benny (who appeared as Alfalfa), and The Charlotte Peters Show in St. Louis. She did singing and voice-over on TV commercials, which included Campbell Soup and Chicken of the Sea tuna. She was also featured in The Little Rascals Christmas Special (1979) as the voice of Spanky and Porky's mother. She appeared in her own nightclub act at the Coconut Grove in Los Angeles, the Copacabana in New York, and the Sahara Hotel and Casino in Las Vegas, Nevada. The Our Gang community was stunned at Hood's unexpected death. Fellow Our Gang member Billie "Buckwheat" Thomas said, "I hate to hear it. It's a shock. She was an awfully nice person, a fine woman. We got along real good as kids." Thomas himself would die a little over a year later. During a lecture at Murray State University in 1985, George "Spanky" McFarland attributed her death to a broken heart. Hood is buried at the Hollywood Forever Cemetery in Hollywood. Bored of Education is a 1936 Our Gang short comedy film directed by Gordon Douglas. Produced by Hal Roach and released to theaters by Metro-Goldwyn-Mayer, it was the 146th entry in the Our Gang series to be released. The Little Rascals is a 1994 American family comedy film produced by Amblin Entertainment, and released by Universal Pictures on August 5, 1994. 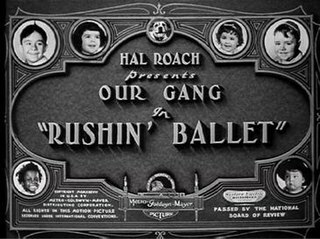 The film is an adaptation of Hal Roach's Our Gang, a series of short films of the 1920s, 1930s, and 1940s which centered on the adventures of a group of neighborhood children. The film, with a screenplay by Paul Guay, Stephen Mazur, and Penelope Spheeris – who also directed – presents several of the Our Gang characters in an updated setting, and features re-interpretations of several of the original shorts. It was the first collaboration by Guay and Mazur, whose subsequent comedies were Liar Liar and Heartbreakers. The Little Rascals is a 30-minute Saturday morning animated series produced by Hanna-Barbera Productions and King World Productions. It first aired on ABC on September 25, 1982. A spin-off based on the live-action Our Gang comedy shorts, it was broadcast as part of The Pac-Man/Little Rascals/Richie Rich Show in 1982 and then as part of The Monchhichis/Little Rascals/Richie Rich Show in 1983. The following is a complete list of the 220 Our Gang short films produced by Hal Roach Studios and/or Metro-Goldwyn-Mayer between 1922 and 1944, in order of release. Our Gang Follies of 1938 is a 1937 American musical short subject, the 161st short subject entry in Hal Roach's Our Gang series. Directed by Gordon Douglas as a sequel to 1935's Our Gang Follies of 1936, the two-reel short was released to theaters on December 18, 1937 by Metro-Goldwyn-Mayer. The Pinch Singer is a 1936 Our Gang short comedy film directed by Fred C. Newmeyer. It was the 142nd Our Gang short released. Arbor Day is a 1936 Our Gang short comedy film directed by Fred C. Newmeyer. It was the 145th Our Gang short that was released. Three Smart Boys is a 1937 Our Gang short comedy film directed by Gordon Douglas. It was the 153rd Our Gang short released. Roamin' Holiday is a 1937 Our Gang short comedy film directed by Gordon Douglas. It was the 155th Our Gang short released. The Little Ranger is a 1938 Our Gang short comedy film directed by Gordon Douglas. It was the 169th short in the Our Gang series, and the first produced by Metro-Goldwyn-Mayer, who purchased the rights to the series from creator Hal Roach. Party Fever is a 1938 Our Gang short comedy film directed by George Sidney. It was the 170th Our Gang short that was released. Men in Fright is a 1938 Our Gang short comedy film directed by George Sidney. Produced and released by Metro-Goldwyn-Mayer, it was the 172nd Our Gang short to be released. Clown Princes is a 1939 Our Gang short comedy film directed by George Sidney. Produced and released by Metro-Goldwyn-Mayer, it was the 178th Our Gang short to be released. Auto Antics is a 1939 Our Gang short comedy film directed by Edward Cahn. It was the 182nd Our Gang short that was released. Captain Spanky's Show Boat is a 1939 Our Gang short comedy film directed by Edward Cahn. It was the 183rd Our Gang short that was released. Bubbling Troubles is an American 1940 Our Gang short comedy film directed by Edward Cahn. It was the 187th Our Gang short that was released. The Little Rascals Christmas Special is an animated Christmas television special based on the Our Gang comedies of the 1920s, 1930s, and early 1940s. It first aired December 3, 1979 on NBC. The Little Rascals Save the Day is a 2014 American direct-to-video comedy film released by Universal Pictures Home Entertainment. The film is the second motion picture film succeeding the major 1994 film, and it is an adaptation of Hal Roach's Our Gang, a series of short films of the 1920s, 1930s and 1940s which centered on the adventures of a group of neighborhood children. ↑ The Scott Vincent Archive (12 June 2015). "ABN The Merv Griffin Show (1957)" – via YouTube. ↑ "Darla Hood Discography - USA - 45cat". 45cat.com. ↑ "FACT CHECK: 'Our Gang' Curse".